YANGON/HO CHI MINH CITY/PUTRAJAYA — Hanging by Ma Thandar’s living-room window is a photograph of her late husband Par Gyi, his image warmed by the mid-morning sun. His grisly death in October 2014 was a stark reminder that despite five years of quasi-civilian rule in Myanmar, the military remains, in many ways, above the law. Ma Thandar — who ran for and won a parliamentary seat in Myanmar’s Nov. 8 national elections — has vowed to press on with her campaign to find out what really happened to her husband. She is among a handful of women, frustrated by lack of official progress in their home countries, who are making their voices heard on issues across the Asian political spectrum. Par Gyi, a journalist, was killed in detention by soldiers while covering one of Myanmar’s long-running civil wars. It took the army three weeks to reveal the whereabouts of his body. Senior officers claimed he was working for an ethnic rebel militia and that he was shot while trying to escape. However, Par Gyi’s body — dug up from the shallow grave in which he was hastily buried — showed signs of beating and torture. “I want to get justice but the progress is slow,” she said, citing why her case reinforces the need to reform the country’s constitution — in order to wrest some control from the military. For now, the armed forces maintains a culture of impunity, reinforced by authority to try in its own courts soldiers accused of wrongdoing. Under the constitution drawn up by the previous military government, the armed forces — or Tatmadaw — controls three key ministries and 25% of parliamentary seats, which gives it veto power over constitutional changes. That power is currently blocking Myanmar’s best known and most popular politician Aung San Suu Kyi from becoming president. Suu Kyi’s National League for Democracy won 80% of parliamentary seats that were up for grabs in the November national poll, and the party is making a strong push for a charter change to enable her to become president. Ma Thandar decided to enter politics herself to try to make a difference. 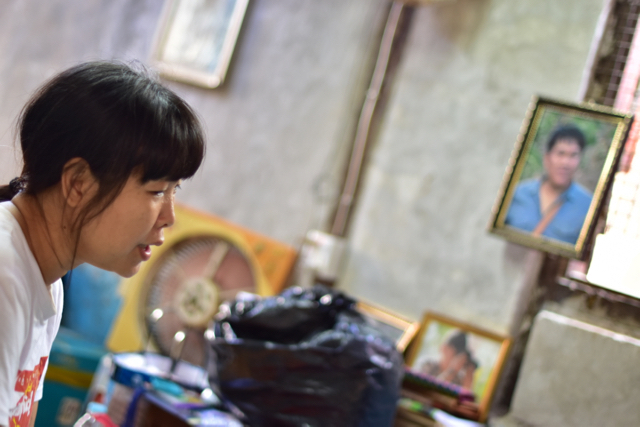 She was one of 390 NLD members who gained a seat in the party’s landslide victory — an outcome that if not quite cathartic, gives her a voice to press for changes in a system long dominated by military power. “We will seek transparency between government and citizen, we will let citizens know the law,” she said, outlining her hopes for the NLD’s agenda over the next five years. While Myanmar’s pro-democracy opposition is now poised to take office, it seems unlikely that the same could happen soon in Malaysia. There, the United Malays National Organisation has held power since independence from the U.K. in 1957 — an unbroken, consolidated hold despite a win for the opposition coalition of 52% of the popular vote in the last elections in 2013. UMNO represents the interests of Malaysia’s ethnic Malay majority, working in coalition with parties representing the country’s minorities of Chinese and Indian descent. Those parties are very much subservient to UMNO, which is under fire for supporting Prime Minister Najib Razak despite a spreading scandal over a state investment group and reports of an estimated $1 billion found in his account, which he has attributed to donations from Saudi royalty. For Malay lawyer Dyana Sofya Mohd Daud, there was always the temptation to follow her family into UMNO. But instead, she did the unthinkable, crossing Malaysia’s ethnic and religious divide to stand as a by-election candidate for the Chinese-dominated Democratic Action Party, the biggest party in Malaysia’s opposition. She lost by a narrow margin to a candidate from the governing coalition in 2014. “There was opposition from my family members,” she said, speaking at an office in the top floor of Kuala Lumpur’s towering parliament building. She explained her decision — seen as a transgression or even a betrayal by many Malays — by pointing out the differences she perceived between the “fairness and justice” of the early years of post-independence Malaysia and what she sees as UMNO’s divisive, Malay-centric rule. Ethnic and sectarian rivalries have sharpened in recent years in Malaysia, with pro-UMNO media accusing Chinese-Malaysians of treachery for not supporting government parties in 2013 elections and other Malay parties pushing for an increased use of Islamic law. “Malaysia is supposed to be a moderate Islam country but right now, we see that there are certain parties and individuals trying to push Malaysia to the extremes,” she said. She preferred to work with what she thought was a more egalitarian party, the DAP, which she described as a “Malaysian party,” and “full of like-minded people,” rather than a vehicle for Chinese-Malaysians. In China, it is not just minorities who are oppressed by an authoritarian one-party regime. Stifling restrictions on the media and on freedom of expression mean that the world’s second biggest economy remains a difficult place for journalists to work. “The whole idea of how the Chinese government views the media is that the media should be helping them, not monitoring them,” said Yolanda Jinxin Ma. 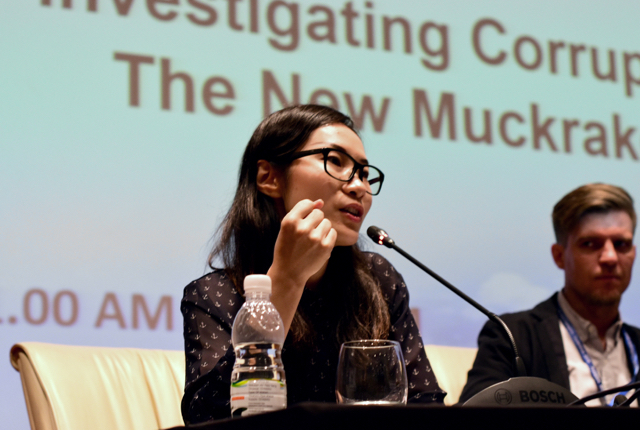 She was speaking shortly after fending off questions from a Chinese official at an anti-corruption conference in Putrajaya, Malaysia, about how the media could support Beijing’s crackdown on corrupt Communist party officials. There is scant leeway for China’s journalists to protest against the state. But Ma believes that better access to data and more rigorous number-crunching could at least result in more accurate, effective journalism — in turn giving the heavily-restricted press a better shot at holding the powerful state to account. As long as the ever-vigilant state does not intervene, her organization will survive, she hopes. “Data Journalism is something the government is being very cautious about,” she added. Some of the country’s human rights activists battle on, sometimes by discreet lobbying of officials, sometimes more bluntly — despite the threat of arrest or attack by plainclothes heavies presumed to be linked to the state. Even though Vietnam is one of Asia’s strongest performing economies, with growth for 2016 expected to match the annual 7% growth notched up in 2015, Huynh Thuc Vy said it is mostly urban Vietnamese who benefit. “Most rural women still live in the harsh cultural and social sphere like that over 100 years ago,” she said. In a reflection of the determination that drives such women, Ma Thandar speaks as a new politician of how she intends to help her constituents in the poor rural township of Ein Mae, in the rice-growing Ayeyarwaddy delta region. From May to October, the area is battered by heavy rain, flooding fields and making roads impassable. It means that even in larger villages that have schools, children often stay home during the long monsoon season. And when they get to school, the ethnic Karen children who make up seven out of 10 pupils in the constituency, are forced to study in the Myanmar language, which many do not understand as their parents speak Karen at home. Ethnic minorities such as the Karen make up an estimated 30-40% of the 51.4 million population of Myanmar, but the education system remains geared toward the majority Bamar. “We want an educational system that is for all people of this country,” said Ma Thandar, highlighting her desire to help drive another possible NLD-led reform once the party takes power on April 1. This article is based on interviews carried out in Myanmar, Malaysia and Vietnam.